BACKGROUND INFO- okay so i've had mild to moderate acne on and off since i was about 12 (in 15 now). i used to get pimples only on my forehead and they were never big at all. usually skin colored so they never really bothered me. 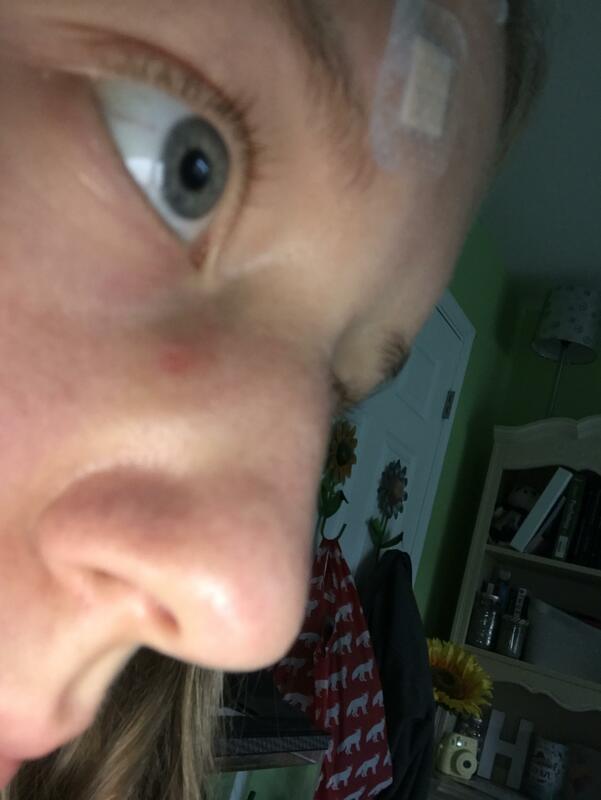 i would also get blackheads around my nose but they were not noticeable. ( my mother always taught me good skincare and i've ALWAYS washed my face twice a day even being so young i never forgot to wash my face morning and night. ) about a year and half ago i started developing pimples on my cheeks that were sometimes red but not large. i would pop them sometimes (if they came to a head) but it wasn't a habit or anything. since the first time i got pimples on my cheeks my skin has been a rollercoaster ride. my skin would get very clear but then break out again and sometimes i would pick at them and make them way way worse. i tried every acne product on the market but nothing completely helped. this summer i switched to a new charcoal soap (little seed farm activated charcoal soap) a new spot treatment (yes to tomatoes salicylic acid treatment) and started using pure aloe as my moisturizer. in about a week my skin was almost completely clear, it was amazing! i honestly was so excited to go back to school and not have to wear any face makeup. then 2 days into school starting, my face went crazy. 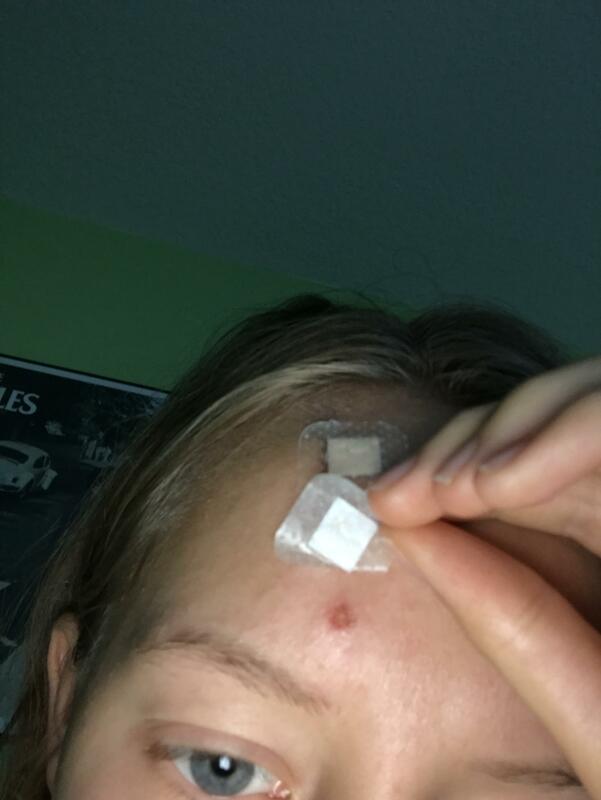 (i think it was a combo of stress and hormonal acne) but it was really bad. my mom bought me some benzoyl peroxide spot treatment to use instead of my salicylic acid one but other than that i didn't change anything else. i used that and in like 3 days my skin was almost back to normal. 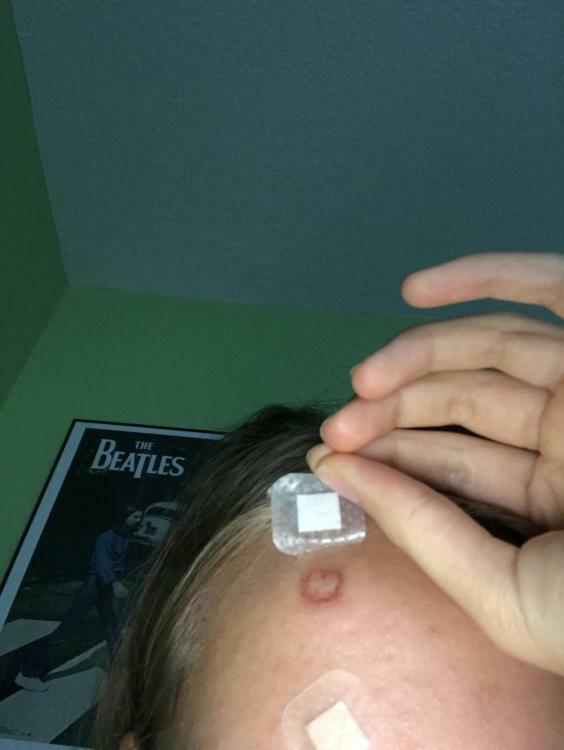 a few days ago i got a few pimples that weren't too bad but they all came to large heads so i popped them. one of them kept draining that clear liquid and wouldn't stop! but i kept dabbing it with a tissue and let it keep draining. the other ones popped pretty cleanly but one of them stung rlly bad when i put salicylic acid in it, but i didn't think much of it. so the next day i wake up and there is a giant purple mark around the one that drained a lot and the one that burned was really red. i just did my normal routine and ended up going swimming with some friends. when i came home the skin all around the purple one had peeled off and left this nasty wound and the other one looked pretty bad too. i've been putting neosporin and aloe on for 2 days but they still look pretty gross. i have school tomorrow and i usually don't wear makeup to school and i don't want to! i don't think makeup would cover it up anyway honestly. any advice that might help it heal atkeast a little bit overnight ?! i know it won't go back to normal overnight but there has to ben something to make it less gross. 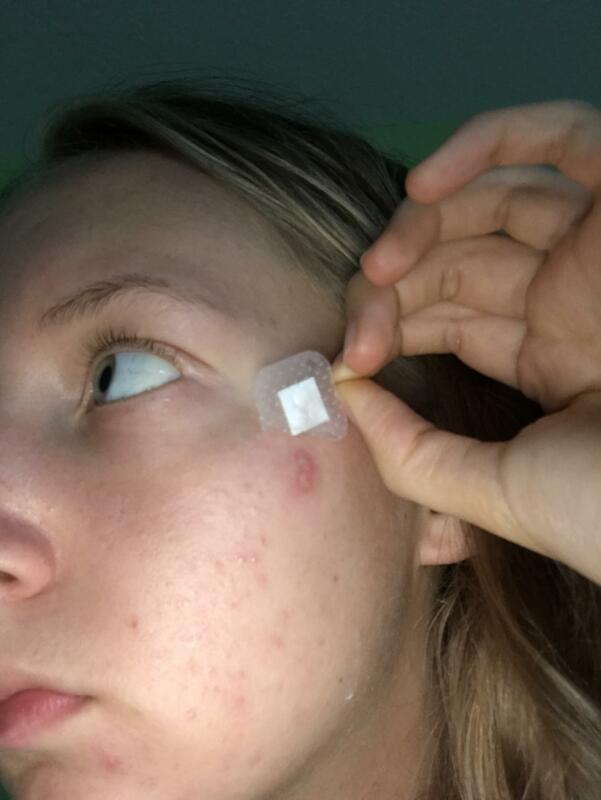 OTHER QUESTIONS- i have my first derm. visit on thursday and i was wondering what to expect on a first visit and if they will give me a prescription right away??? do all prescription products make your skin purge really bad? has anyone else had a scab fall off on its own and still left a "hole" in their skin?! how can i fix this or is it permanent?